Lantau Island is often referred to as the ‘Lungs of Hong Kong’ because it is so green and underdeveloped. Take a tour of Lantau with us and visit the awe-inspiring Big Buddha and the wonderfully quaint stilt village of Tai O. 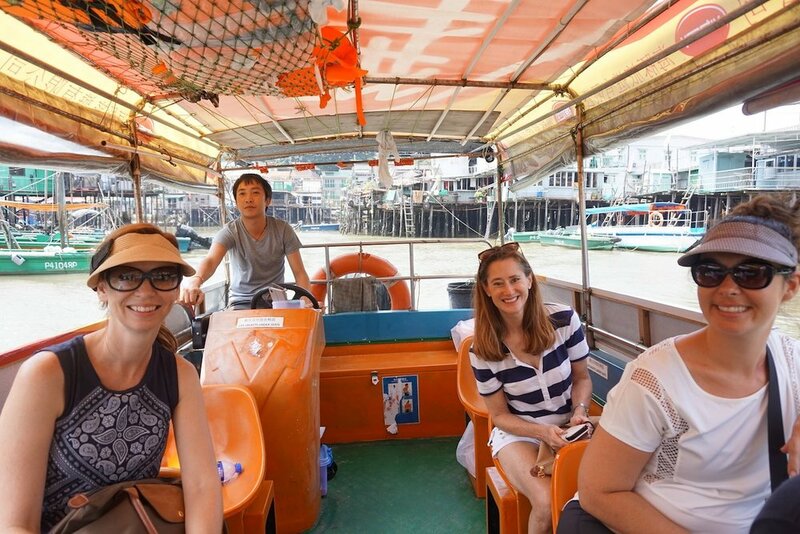 Our Private Lantau Tours last 7 hours, 8 with a hotel pick-up. A unique exploration of Lantau. Hotel / cruise terminal pick-up available. Ngong Ping Cable Car and Tai O boat ride included. Option to add on private car transfers. Your Lantau private tour starts with a ride on the Ngong Ping Cable Car. You will be treated to the most wonderful views of Lantau Country Park and the airport as you travel over the back of the island for 25 minutes. Our destination is the famous Big Buddha. 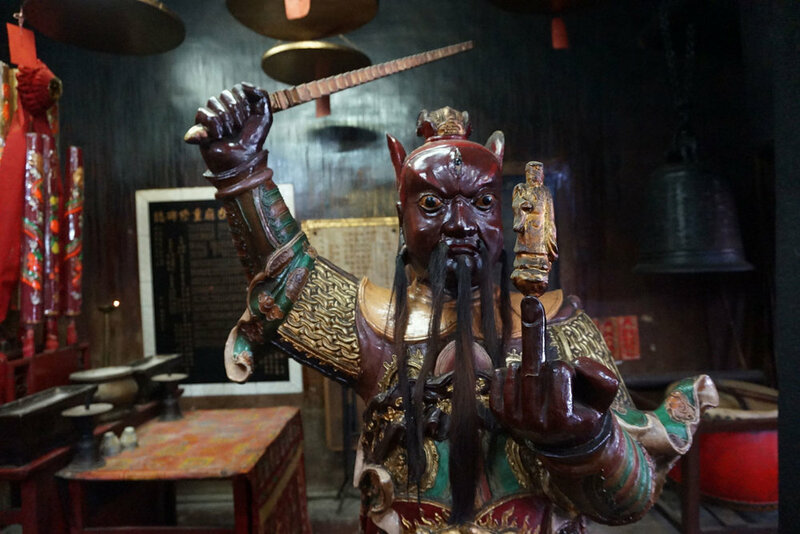 Here you will learn about Buddhism, climb the 268 steps to the Buddha, visit the Po Lin Monastery and the hall of 10,000 Buddhas. 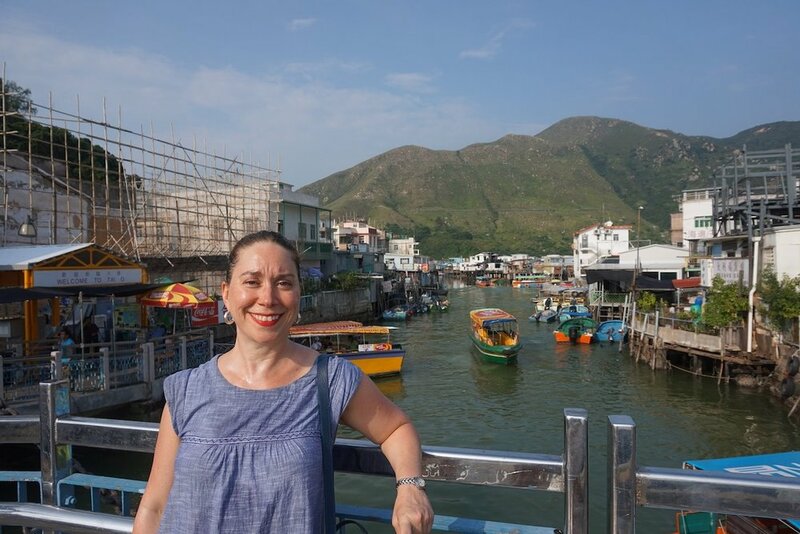 From Ngong Ping, it is a 20-minute bus ride to Tai O, affectionately known as the Venice of Hong Kong. Tai O is one of the few remaining places in Hong Kong where you can still see stilt houses over the water. 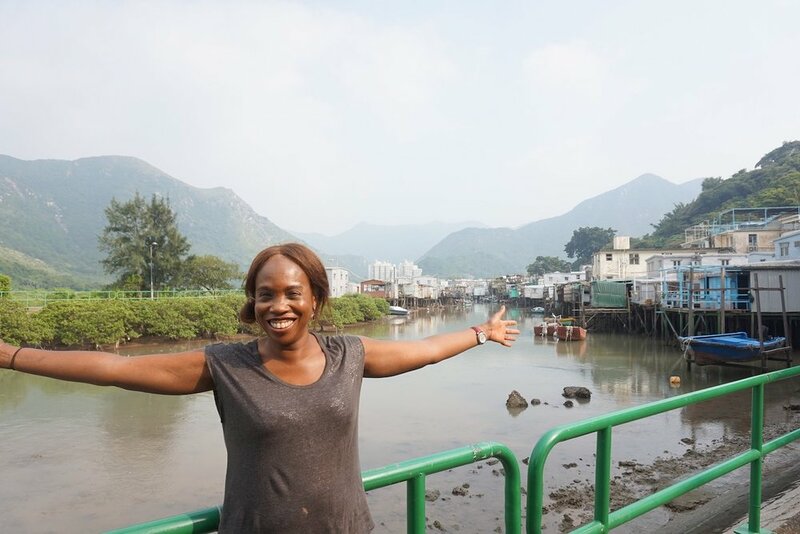 Tai O used to be a big community but due to the decline of the fishing industry it, like Venice, is now primarily a tourist destination, for both overseas visitors and Hong Kongers escaping the hustle and bustle of the city. Tai O is still known for its traditional production of shrimp paste and for its colourful seafood market. You will embark on a full exploration of Tai O visiting the beautifully restored Old Police Station, now operating as a heritage hotel. If you are feeling hungry this is where we can enjoy lunch in the very nice Lookout restaurant. You will visit one of the two remaining shrimp sauce production outlets, meander the back streets in and around the stilt houses, visit a temple from the late 1400s and learn about the religion of Taoism. If you have the energy we can trek to a lookout point where we can get an excellent view of the 42km bridge that links Hong Kong and Macau. At the end of the tour of Tai O, you will be in the middle of the National Park. You will need to travel to Tung Chung or Mui Wo (transport hubs on Lantau) in order to travel back to downtown Hong Kong. It will take approximately 45 to 50 minutes from Tai O to Tung Chung/ Mui Wo from where it will be another hour to downtown Hong Kong. The last part of the journey is made with or without your guide, it’s your choice, depending on how you like to use your guide time. For numbers over 8 please add HK$460 per person. Anyone aged 12 or over is counted as a full person. Children aged 11 years and under are free to join the tour. There is a surcharge of HK$110 for children aged 3 to 11 years to cover the cost of the cable car ticket and boat ride. Prices include a one-way ride on the Ngong Ping cable car in a standard cabin (upgrade to Crystal cabin for HK$55pp) and a boat ride in Tai O. Costs for public transport around Lantau Island (buses) are included but any taxi travel which you may choose to use is not included. Lunch is not included but can be arranged. If you book a private tour and would like to be met at your hotel by your guide you will need to book the 8 hours tour. These are walking tours not car tours. If you would like a private car transfer from your hotel to the Ngong Ping Cable Car and back to your hotel from Tai O this can be added on when booking. This tour requires you to be physically fit. You will be walking between 5 and 10km over the course of the day. How far we walk will depend on how much walking you want to do at Tai O. We will be going at a slow pace, across flat land but you do need to be in reasonable health. If you wish to visit the Big Buddha up close you will need to be able to climb up 268 steps! 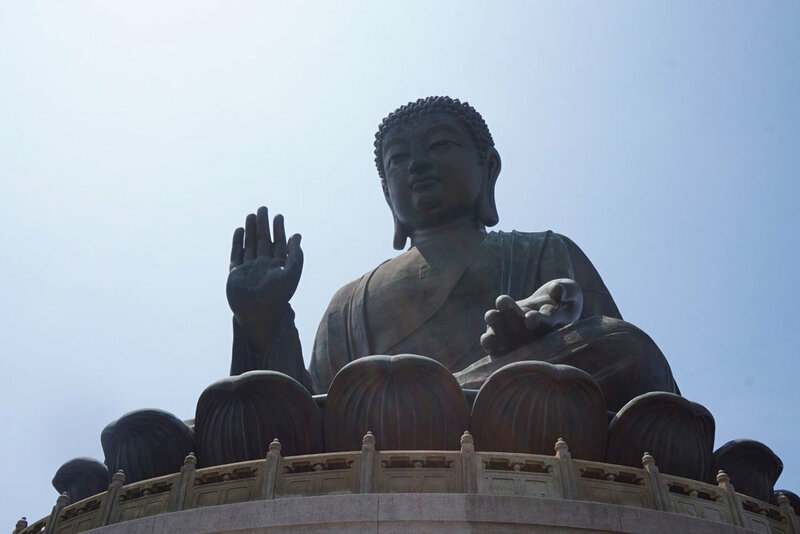 Please be aware that the Big Buddha is not in the city, it is in the Lantau National Park. This means that you will need to travel to Lantau which is approximately one hour away from downtown Hong Kong. Please also note that if you book a hotel pick-up it is still a walking tour, not a car tour which means that you will be still be travelling around using the excellent public transport system. Private car transfers from your hotel / cruise terminal to the Ngong Ping Cable Car and back from Tai O can be added to tours. Our cars takes 6 passengers including your guide. Adding a transfer back from Tai O ensures a relaxing end to what can be a tiring day. Whilst this is a wonderful day out of the city and is often the highlight of peoples time in Hong Kong please do not book this tour if you do not wish to spend 3 hours of your day travelling to and from the Lantau National Park. Please book a private customised city tour instead. Meeting Time for 7 hour tours starting at Tung Chung: Monday to Friday - 09:20 am. Saturday, Sunday and Public Holidays - 08:20 am. Meeting time for 8 hour tours with a hotel pick-up: Monday to Friday - 08:20 am. Saturday, Sunday and Public Holidays - 07:20 am. 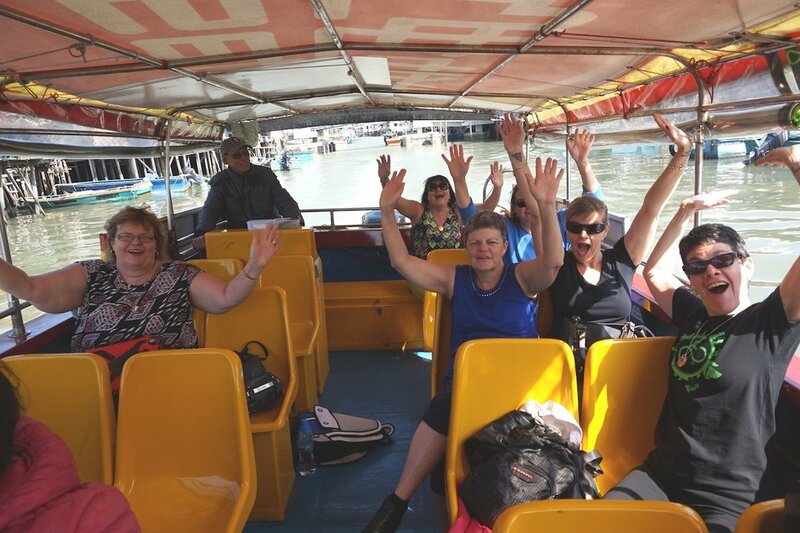 WHAT'S INCLUDED: The tour price includes a standard cabin cable car ticket from Tung Chung to Ngong Ping (Big Buddha) and a ride in a boat at Tai O. Public transport used during your tour is included (bus, MTR) but any taxi which you may choose to use is NOT included. The costs of food/drinks and souvenirs are NOT included nor are the costs of any transport which you use before or after your tour. STARTING POINT: Tung Chung MTR station (directions sent upon booking) if you book a 7-hour tour or your hotel lobby / cruise terminal if you book an 8-hour tour. END POINT: Tung Chung MTR station (instructions on how to get back to Central / Tsim Sha Tsui provided). Please tell your guide if you wish to finish at your hotel. WEATHER CONDITIONS: All tours take place as scheduled except under Red/Black storm warning or Typhoon #8 or above. For up to date information see the Hong Kong Observatory website. If the cable car is shut down because of bad weather we will be able to give you a refund for the cable car tickets.